Internet radio is the next step after FM and DAB radio. Thanks to the Internet, you can reach a global audience. 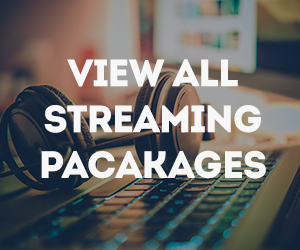 Instead of investing in professional studios and antennas, you can start your radio station from your home using only your laptop, a good microphone, an internet connection and a few other add-ons depending on your needs!To get your stream out there, you need stream hosting that provides you with the server power to reach your listeners. That’s what RadioCast Solutions does. We offer you not only a great audio stream but many Add on services and a great AutoDJ amongst many other things. We do have to enforce online broadcast regulations. This means you need written permission by all rights owners to the music you play or a license from the organization that hands these out. If you play royalty free music you don’t need this.We do not force any of our users to purchase these licences and will not suspend any services if we find that they are not licenced. However, if we receive a complaint from PPL, PRS or a music artist/record label – we will be forced to remove the audio file which has been complained about. This could also lead to termination of the main account. You will be notified of this before anything is deleted from your account. Where do I get a streaming license? If you are in the US can acquire a license here. Again, this is only needed if you are playing non-royalty free music on your stream. Is there a Setup Fee ? We no longer charge a Setup fee. Accounts only require a Pay Pal subscription. Is there an Activation Fee ? Do I have to use PayPal ? Right now we only support PayPal Subscriptions for payment. We are working on supporting more payment gateways in the future. How fast will I get my log in information for my stream after I pay ? No longer than 48 hours after payment has been submitted. But Usually within 24 hours. How do I submit my info for the stream setup ? After you submit you payment through paypal subscription you will be re-directed to a page with a form. Please fill that out so we can create your stream. If you missed this form page or skipped it by mistake just click here to return to that link. Please include the email used to purchase the stream.